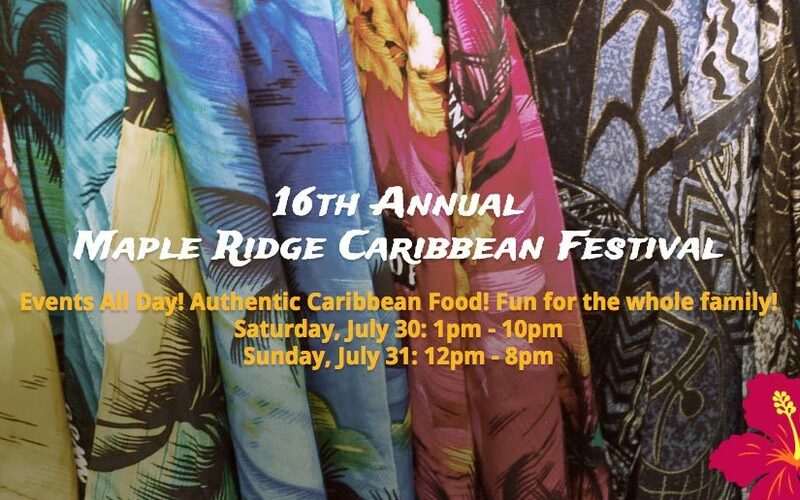 Get ready for a weekend of family fun at this years Maple Ridge Caribbean Festival! The event has continued to grow in popularity, and will take place at the Maple Ridge Fairgrounds this year. There’s 2 large stages to enjoy live music performed by 15 bands from the Lower Mainland’s Caribbean community. Events will be happening all day and there will be tons of authentic Caribbean food to try! There will also be a large kid zone with rides, face painting and a number of other activities. Check out the Entertainment Schedule and Kid Zone Schedule.